SpaceX has a growing list of future destinations for its BFR rocket and spaceship system — most recently, a trip around the moon with a paying passenger on board. But funding for its development is far from secured. Satellite launches and NASA missions to the International Space Station are stable revenue streams for the Hawthorne company, possibly approaching $2 billion annually. But they aren’t necessarily going to put a major dent in the estimated $5-billion BFR development cost. 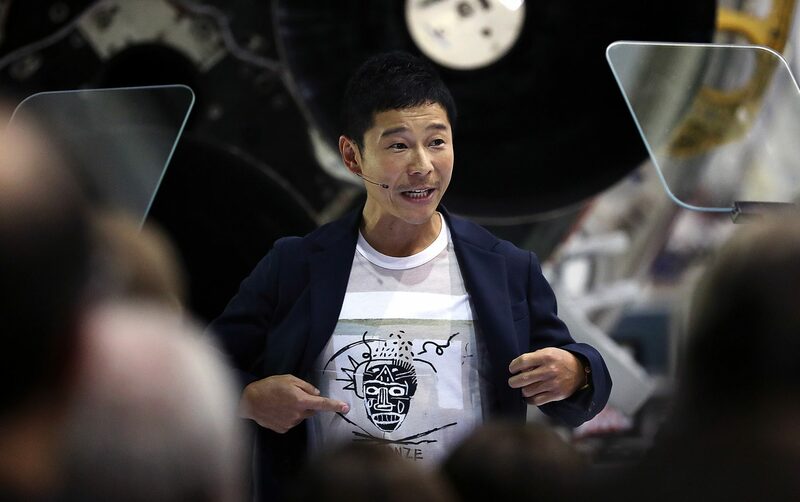 And there are questions about whether SpaceX’s proposed satellite broadband business will be operating and turning a profit by 2023, when BFR is scheduled to take Japanese billionaire Yusaku Maezawa around the moon. That leaves space tourism as the wild-card — and potentially most lucrative — funding stream outlined this month by SpaceX Chief Executive Elon Musk. Analysts say the fledgling space tourism industry does show signs of demand. And it has the advantage of upfront payments. A 2012 report from a market research firm then known as Tauri Group found that about 8,000 high-net-worth individuals from around the world were “sufficiently interested and have spending patterns likely to result in the purchase of a suborbital flight,” similar to the minutes-long moments of weightlessness currently sold by Virgin Galactic and Blue Origin. Blue Origin, which has conducted several tests of its New Shepard crew capsule and rocket system, has not yet publicly released its ticket prices. Founder Jeff Bezos recently said the company would take people to space “this coming year.” Virgin Galactic charges $250,000 for a seat on its SpaceShipTwo vehicle, which is undergoing flight tests. Both companies plan to take tourists to suborbital space. A four- to five-day trip around the moon, like the one Maezawa committed to, would probably cost a lot more. In 2012, an executive from space tourism firm Space Adventures advertised a $150-million price tag for a seat on a lunar flyby mission with a Russian launch vehicle that was intended to launch last year but never did. “It’s a nontrivial amount,” he said during the Sept. 17 event that revealed Maezawa as SpaceX’s first private passenger for the BFR lunar flyby. Wealthy individuals may be willing to pay a premium for such a once-in-a-lifetime experience. But it’s unclear how many deep-pocketed passengers are out there and whether they would all agree to pay for part of the rocket’s development costs, said Ostrove of Forecast International. These incremental cash payments are a contrast to the large expected upfront investment for SpaceX’s proposed Starlink constellation, which is intended to provide global broadband service via thousands of tiny satellites. In March, the Federal Communications Commission approved SpaceX’s application to provide broadband internet access through Starlink. SpaceX has said the constellation would provide households and small businesses with internet service at “fiber-like speeds,” and launched the first two demonstration satellites in February. If tests of the satellites and ground equipment are successful, SpaceX could start launching operational satellites as early as next year and reach full capacity by 2024. That could put Starlink in competition with BFR for company resources, analysts said. The constellation “wouldn’t be able to generate positive cash flows until sometime after” it becomes operational, said Tim Farrar, president of consulting firm TMF Associates in Menlo Park, Calif., who has counted satellite operator Intelsat and manufacturer SSL as clients. “Starlink could be viewed as something of a distraction from pursuing the BFR plan,” he said. Other companies’ satellite broadband plans have run into hurdles. In 2015, Arlington, Va.-based OneWeb said its goal was to build 900 small satellites at a per-unit cost of $500,000 and estimated that development, launch and operations of its constellation would cost about $3 billion, according to reports at the time. But recently, there has been speculation that both costs ballooned past initial estimates. Earlier this month, a OneWeb executive declined to disclose whether the per-unit and total production costs had changed, according to trade publication SpaceNews. OneWeb said earlier it was “months away” from its first launch of 10 satellites. The company did not have an immediate response to a request for comment. There has been “substantial” investment in telecommunications satellite systems based in low-Earth orbit, said Carissa Christensen, founder and chief executive of market research firm Bryce Space and Technology. Last year, revenue from all satellite services totaled $128.7 billion, according to a report prepared by Christensen’s firm for the Satellite Industry Assn. trade group, including $2.1 billion from broadband. Analysts say the most reliable sources of funding for SpaceX’s BFR are the company’s satellite launches for commercial and military customers, as well as NASA contracts to deliver cargo and crew to the space station. SpaceX was awarded a contract of up to $2.6 billion to carry NASA astronauts to the space station for six missions. The first flight without crew of the company’s Crew Dragon capsule is set for later this year, with a crewed flight scheduled for April. The company has already flown 15 cargo missions for NASA. SpaceX has also rapidly increased its total launch rate. Last year, SpaceX launched 18 missions, and has launched 16 so far this year. On Wednesday, the company netted a contract with Japanese lunar exploration firm Ispace to launch a lunar orbiter on a Falcon 9 rocket in mid-2020, followed by lunar rovers in mid-2021. The value of the contract was not disclosed. SpaceX advertises launches on its workhorse Falcon 9 rocket at a starting price of $62 million, though flights on a reused first stage can be cheaper. SpaceX is now regularly landing its first-stage boosters back on Earth, and has turned them around for re-flight in as little as just over two months’ time. But there’s a ceiling to this market. Last year, revenues for the entire commercial satellite launch industry were about $4.6 billion, said Mike French, senior vice president for commercial space at Bryce Space and Technology and former NASA chief of staff.